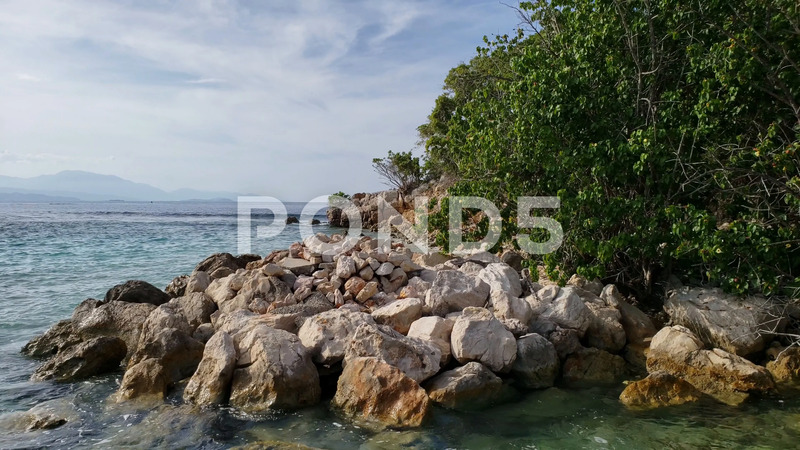 Description: Close up low angle view of clear Caribbean water washing against the rocky shore of a small tropical island. Small waves break on a shallow reef. TRACKING, motion left.